Save the life by pre-register (Setup Organ Donation to iPhone/ iPad) or become a donor yourself. For that, you don’t need to go anywhere, in just few finger taps you can do officially on registerme.org (Life America Registry) via health app. Mind changes have an also good option for removing her/ Himself using health app. 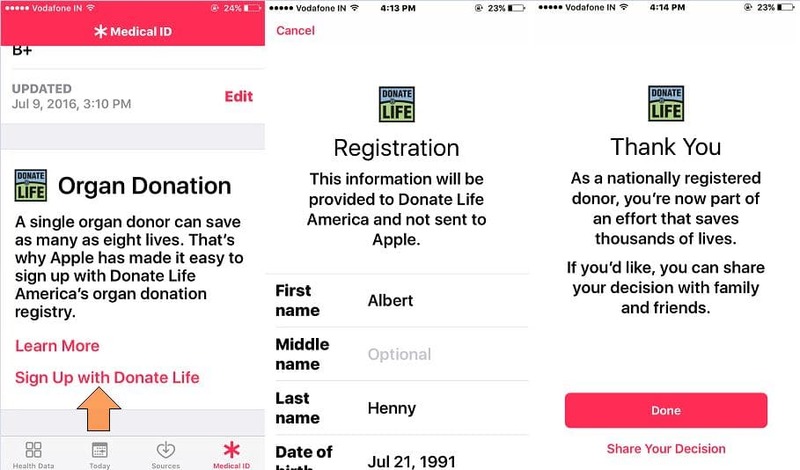 Apple’s announcement for this registration: Your information setup on Donate organ not sent to apple, it bypasses to Donate Life America from your iPhone/ iPad or iPod Touch. Let’s join to become the useful piece of someone’s life. 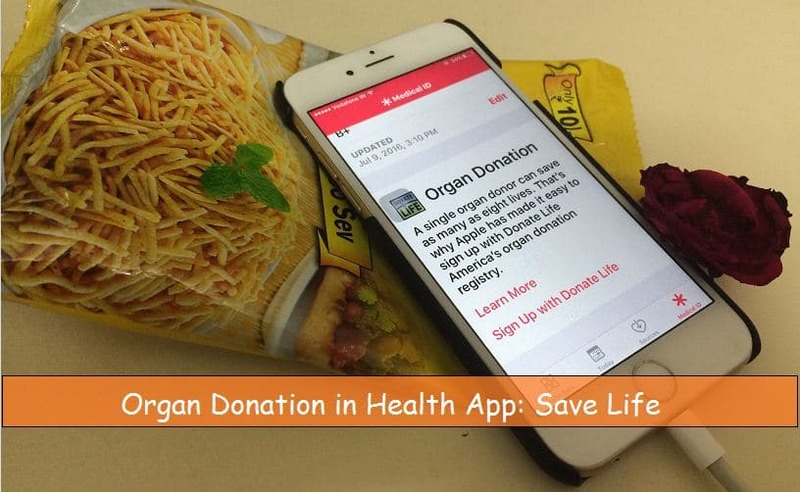 Newly updated health app cover organ donate as the central portion for help. Follow the quick guide with necessary details and confirm yourself after the declaration. Here I setup after update iOS 11, You find any changes give us to report on the comment box. Step 1: Go to the Health App on iPhone/ iPad (iOS 10). Step 2: Tap on “Medical ID” tab from beneath Tabs. Step 3: Scroll down the screen to bottom, Tap on Sign Up with Donate Life. Fill your Profile details and address correctly within USA. 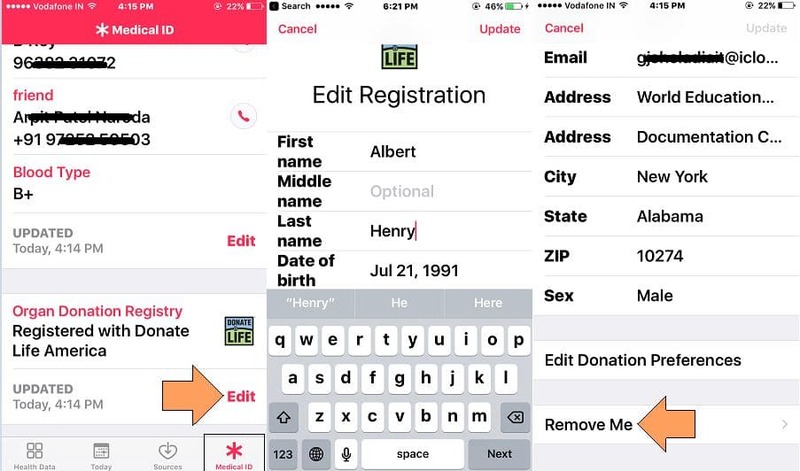 Once you complete Full Details, Tap on Complete Registration with Donate Life. Step 4: Now you Medical ID home screen likes to look in below. Else, Remove Me of completely sign out yourself as an organ Donor. Future time your register from same repeat steps explained above. Save others life by sharing this message or Apple’s new health app feature by Setup Organ Donation in iPhone/ iPad.